The person we will grow into is influenced by a series of events, circumstances, and opportunities we experience throughout our childhood. While the focus is often on what do we want to be when we grow up, it’s the who we will become that’s important. This builds slowly, in layers, and with some people can be identified through one or two key events. In the case of Bill Drossos, Area 27 President and co-founder, that event happened when he was 11 years old. Drossos caught every race Villeneuve competed in. To this day he can quote statistics, recite the circuits Villeneuve raced at and against whom. When tragedy struck in 1982 during qualifying at the Belgian Grand Prix, the world – and Drossos – lost a motorsport legend. “When Villneuve died that day in May, I was devastated”, says Drossos. He gets pensive when thinking back to those childhood days watching his hero on the track. “But I was also more determined than ever to be a driver and get into motorsport.” At the time Drossos didn’t realize how much his future would intertwine with the son of the legend he adored. 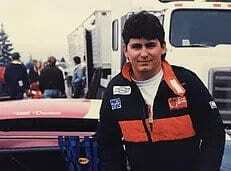 In 1986 with the ink barely dry on his high school diploma, Drossos headed east to the Spenard-David Racing School – Richard Spenard’s new school at Mosport Park in Ontario. Spenard had been on the asphalt with Gilles Villeneuve and, while new, his was considered one of the top schools for young drivers to learn the skills needed to compete on the international motorsport circuit. “My friend Jerry Jaager was the one who got me interested in the school”, explains Drossos. “Jerry was into motocross and saw an ad at the back of a Formula 2000 magazine (a Canadian motorsport publication) for the Spenard-David school.” As this was pre-internet days, the two friends sent away for a brochure by mail. Powered by caffeine and gas station snacks, the two road-weary teenagers arrived at Spenard’s academy the night before their intensive three-day session began. Neither had any driving training. “Jerry landed 2nd in the runoff and I ended up 4th”, says Drossos. “You’re judged not just on your lap time but on technical driving ability. It was my first time on a track. I guess I was a bit raw.” Despite their inexperience Spenard liked their enthusiasm and that they had traveled so far for the school. Drossos was invited to return the next year for F2000 championship school and to work as a race mechanic. That would be when the Villeneuve name would enter his life for a second time. By mid-June 1987 Drossos was hard at work on F2000 racecar engines and honing his technical driving skills when Jacques Villeneuve arrived at the Spenard-David racing school. The French-Canadian kid quickly struck up a friendship with Drossos and his buddies, spending most of their off-track time together. “We were probably the easiest to get along with”, recalls Drossos. “Jacques laughed at the fact that Jerry and I were living in this motorhome on site with Dirk Hohmann staying in a tent beside us. I think he saw how dedicated we were.” Dirk is now an Area 27 member. Drossos had earned a good reputation for being the guy to go to for Formula car repairs. One day he was helping someone with a seatbelt when he remarked on Ontario weather as being different from that ‘back home’. After a few questions, the driver learned Drossos was from the Okanagan. “Then this guy asked me who was my dad: George, Nick, or Sam”, recalls Drossos. “He said to me ‘I knew there was only one Drossos family in Penticton.’” The man at the driving school with seatbelt trouble was David King, a roommate of Drossos’ uncle George while at the University of British Columbia. Now, David is a co-founder of Area 27. After proving his talents with suspension and mechanics, Drossos was asked back to the driving school in 1988 as a technician. “I was the head engine builder,” he explains, and then smiles. “Okay, I was the only engine builder.” The Spenard-David racing school had a fleet of Formula 2000 cars, each with a 2.0L Ford-derived engine. The cars were worked hard and required constant maintenance and repairs; Drossos had his hands full from January until the season ended in October. Driving back to the Okanagan after spending a summer on the asphalt in Shannonville, Drossos talked with his friend Jerry about the lack of motorsport facilities west of Ontario. “I remember saying how great it would be if there was a track like that in the Okanagan”, recalls Drossos. “People came from all over the world to Richard Spenard’s school. I thought if we had a track in a destination area – like my home – we’d really have something special.” The teenager’s mind was already laying the foundation for what was to come. One of the key experiences for Drossos came from attending his first Grand Prix event. 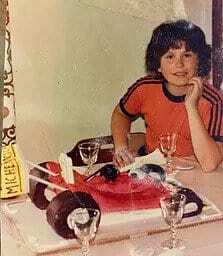 By now his parents had accepted that their son was committed to pursuing a career with racecars and for his birthday they paid for him to go to the 1988 Monaco Grand Prix. He could stay with his friend Jacques, who now lived in Europe. It was at Monaco that the two friends watched as Ayrton Senna drove his ‘magic lap’ with a best time of 1:24.0. The team Senna drove for? McLaren-Honda. Enthusiasts will recall how McLaren provided Gilles Villeneuve with his first race. For Drossos, attending the Monaco Grand Prix with Jacques was a pinnacle event. At the end of their visit Jacques said to him ‘Next year, I’m going to see where you come from.’ He visited Drossos in the Okanagan each subsequent summer until the pro’s racing schedule made taking regular two-week vacations more difficult. Drossos learned a lot with that first team and in those early hard days of racing. There were times when he had to make tough choices: stay at a hotel, or pay for car parts. When he was at Race City Speedway in Calgary, Drossos bought brake pads and slept in his car in the paddock – a racecar doesn’t have the creature comforts that a regular car does. “I came in fourth, too.” Race City is where Drossos had one of the moments he’s most proud of as a driver: going wheel to wheel with Trevor. In the finale for Player’s, at Vancouver Indy, Drossos had another memorable moment when he bested Richard Spenard’s time in qualifying. Drossos raced in the Player’s series until its eventual decline, getting to know Trevor on and off the track during those four years. After the Player’s GM Series ended Drossos couldn’t raise the funds to go to the next level so in 1993 he watched as friends Trevor and Jacques entered Formula Atlantic. The friendships continued after Drossos left the pro circuit and moved to Vancouver, motorsport never far from his mind. He kept in touch with Trevor and Jacques, catching up with them when they were on the west coast for a race. By 2008 Drossos moved back to his hometown of Penticton where he could teach skiing in winter and open a shop to work on cars in the summer. At least, that was the plan. Upon returning to the Okanagan, Drossos saw local motorsport enthusiast Daryl Carter at a grocery store. “I still had my 1991 Player’s GM racecar, one of only 32 built”, says Drossos. “I knew Daryl liked these cars so I asked if he was interested in buying it.” They took the car back to Daryl’s shop for inspection and Daryl proposed a deal: he would buy the car only if Drossos restored it to race condition. For anyone else it might have been reason to walk away, but not Drossos. He had kept detailed records of every purchase made for the car since 1991. A deal was struck, and after that restoration Daryl asked him to restore vintage muscle cars and build engines. Drossos balanced shop time with his passion for coaching kids’ ski racing at Apex Mountain. Daryl is now a founding member of Area 27. Sometime in 2010, Daryl got a call from Les Cool. Les liked the restoration of Daryl’s Player’s GM Series car and wanted to know if the same person could restore his 1989 version. What none of them realized was that, years earlier, Drossos had sold his 1989 Player’s car to a friend, who then sold it to someone else, and that person eventually sold the car to Les. Between 2010 and 2011, Drossos got reacquainted with his 1989 Player’s GM Series car as he restored it for Les – who is also now a founding member of Area 27. First, Drossos looked to Jacques for his race and track experience. Then he approached David King; with his extensive experience at real estate organizations with international reach, David brings substantial business acumen to the project. After a few phone calls, Trevor came on board as a co-founder to share his track knowledge and apply it as a professional builder. Drossos spent the next while gathering a group of founding members to help realize this shared vision. In 2012, focus for the Luxury & Supercar Weekend was 50 years of Shelby so Daryl and Drossos went to Vancouver – Daryl with his Shelby Mustang and Drossos to drum up interest in a motorsport club. All he had was a rendering of a track on his cell phone and unbridled enthusiasm. That’s where he met entrepreneur Robbie Dickson who was interested enough to give Drossos his card and ask to stay in touch. First to join as founding members were Daryl Carter and Les Cool, and through Daryl came fellow local Pentictonite Gord Lindsay. When Area 27 had a media launch at Spirit Ridge in September, Robert Sinneave joined on. Three days later the group held a luncheon in Vancouver where Drossos reconnected with Robbie and met Brett Knelson. One week later Drossos met Robbie’s friend Paul Neider. The four founders then had their seven founding members. While Area 27 is built on the hard work and dedication of many people, it took the vision of one person to drive it from concept toward completion. It started in 1978 when one 11-year-old boy watched in awe as a relatively unknown Canadian racecar driver took the motorsport world by storm and showed people everywhere that by working hard, taking chances, and acting with full commitment and integrity, anything is possible – even for a kid from the Okanagan with a dream of racing cars on a track in his own backyard. The rest is Area 27 history.